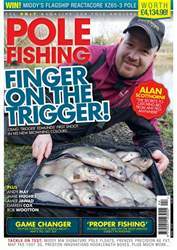 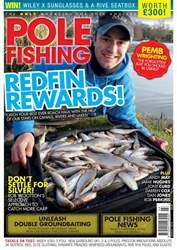 Delve into all the latest tips, tactics and tackle in the March issue of Pole Fishing magazine. England internationals Callum Dicks and Kayleigh Smith unveil their secrets to natural water success while editor Alex Bones enjoys some cold weather silver-fish sport amassing a net of skimmers, hybrids and roach upwards of 30lb! 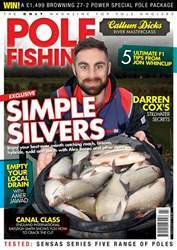 Middy's Jordan Hall, the controversial Giles Cochrane and big-money specialist Jon Whincup also grace the pages of the latest issue. 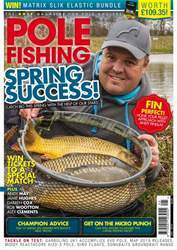 Assistant editor Jake Fowles discusses his angling month as well as taking a look at some of the brand new gear set to hit the market!